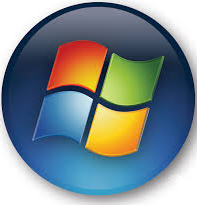 Windows 8 and Windows Surface RT instructions: As part of your SecureAnywhere Complete edition license, you can download the Backup & Sync app to a Windows 8 or Windows RT tablet. Important: Before you begin, you must install SecureAnywhere Complete on a computer, configure the Backup and Sync component, and create a Webroot account. For detailed instructions, see the Webroot SecureAnywhere User Guide for PCs, available here. From the Windows Start screen, select the Store tile. From the Store, go to the Productivity category. Locate the Webroot Backup and Sync app. Select Install. The app installs in a few moments. When you see the Backup & Sync tile appear, select the tile to open the app. At the first screen, enter your Webroot account login credentials and your keycode. The Backup & Sync app will synchronize with your Webroot account in the cloud. The folders will appear as tiles.